Never be caught short on charge again with this Sony PlayStation 4 Dual Charger Accessory. Fast Charge your controllers. When charged the LED indicator lets you know when your controllers are fully charged. Charge dock powered by micro USB (Which is included). 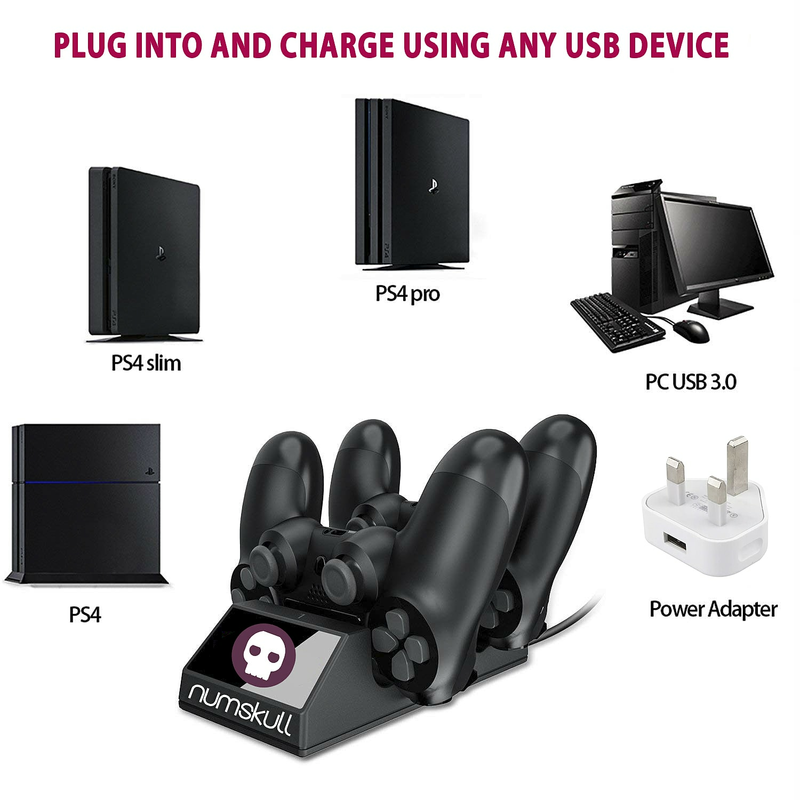 This light and functional charger will be a fantastic addition to your favourite PS4 console. 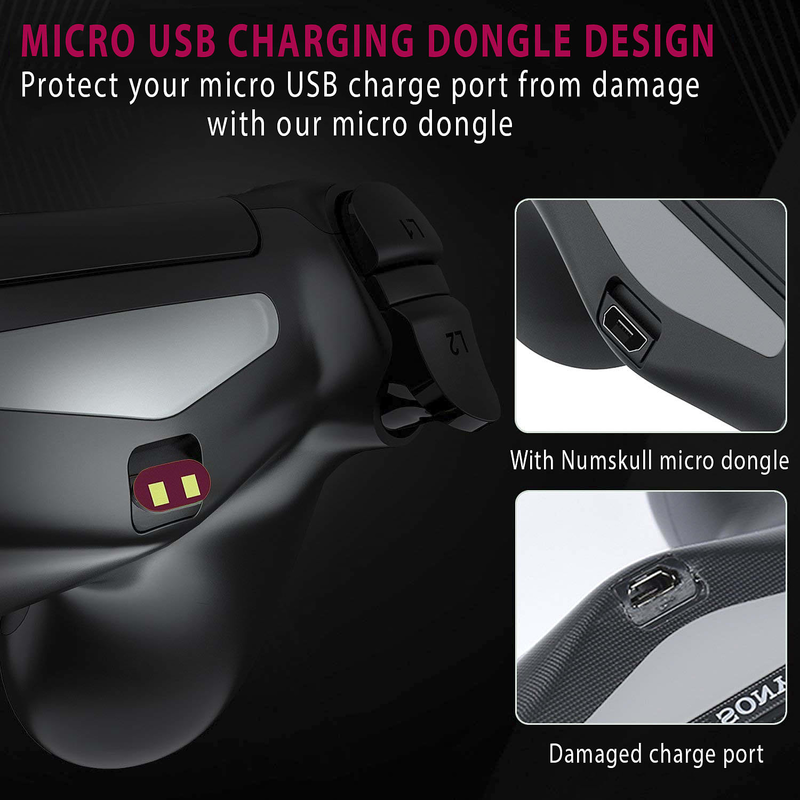 Includes 2x Micro USB dongles for 'Drop & Charge' function. 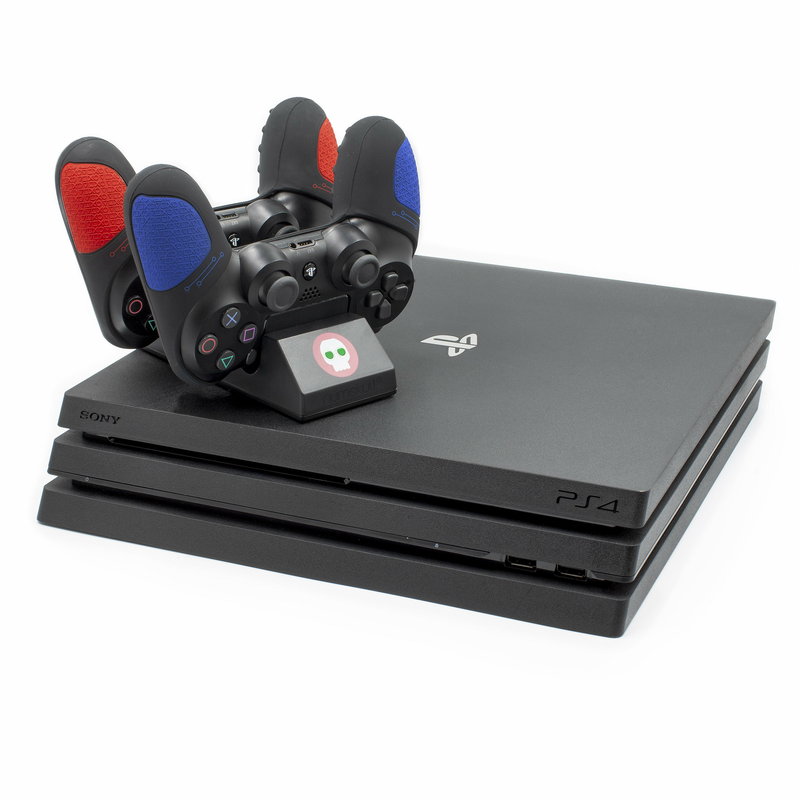 PS4 Dualshock Wireless Controller Twin Charger with Fast Charging Technology - The ultimate in PS4 charging. 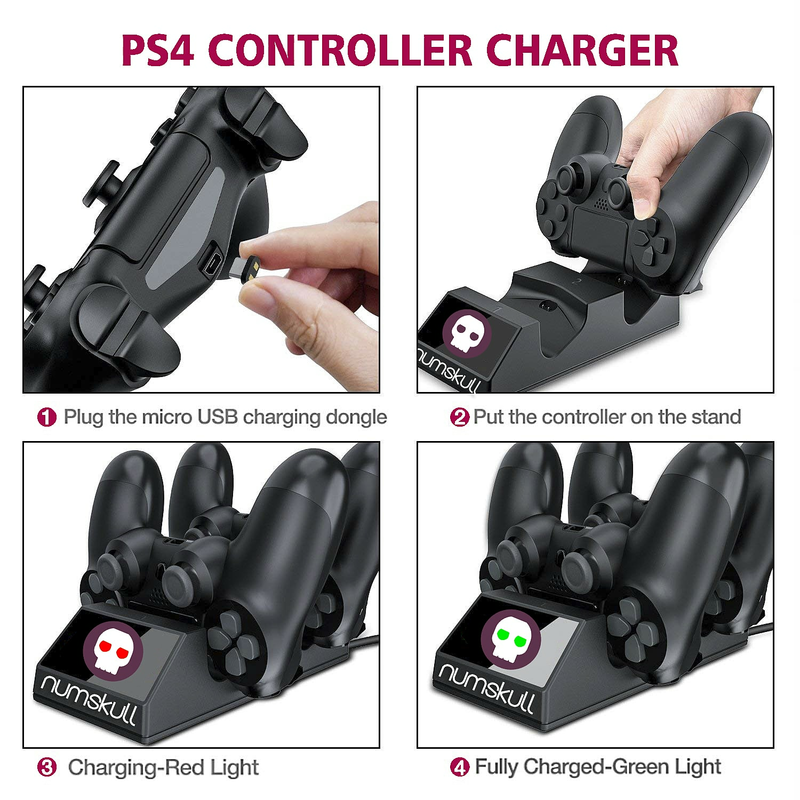 Never let your PlayStation 4 DualShock 4 controllers run out of battery ever again, with this dual charge stand station! 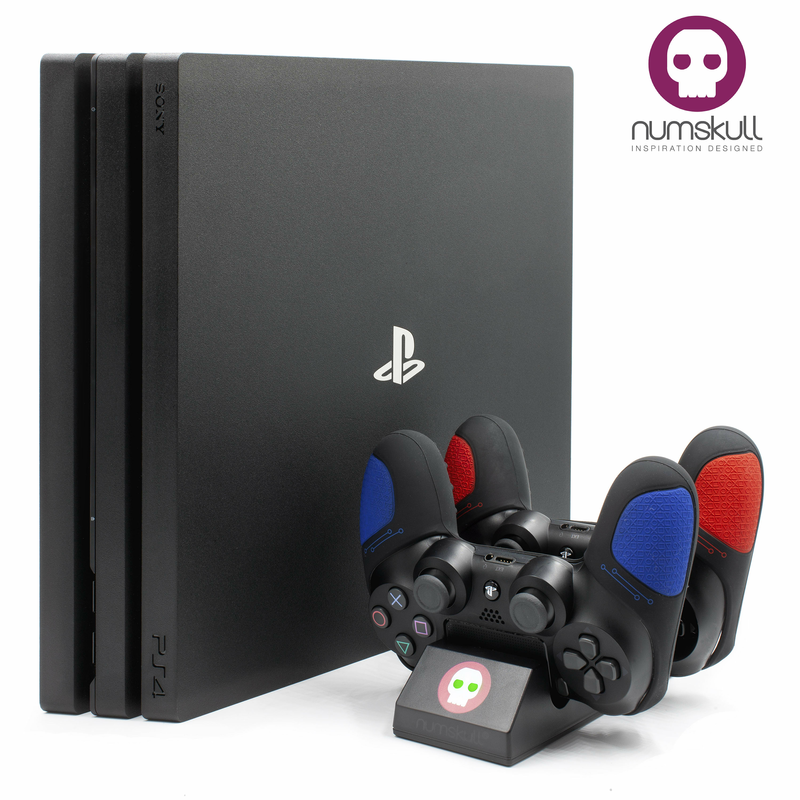 Simply connect the dock to your PS4 with the included Micro USB cable, and store your gamepads in the charging station when not in use to fully charge them up so they're ready to use whenever you need them! Fast-Charging Technology: Charge two Controllers at the same time. With this Quick Charge technology it only takes 2-3 hours to recharge the battery from empty to full. Automatic Shutdown: When the battery is fully charged, the Skull eyes will change from Red to Green, so you never need worry if your controllers are charged. 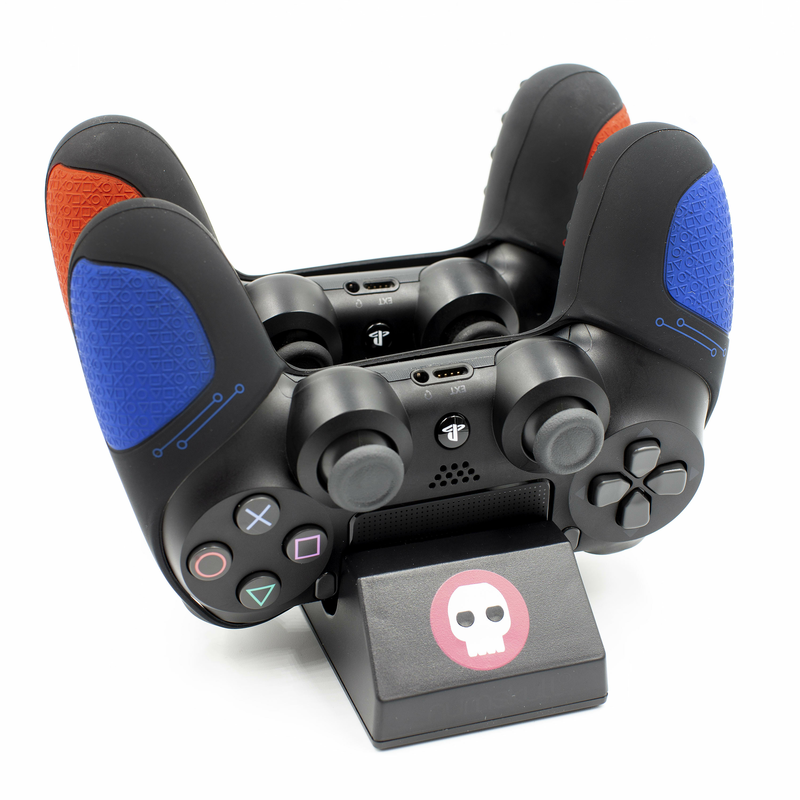 Specification: Suitable for Sony Playstation 4 Dualshock controllers. Input voltage: DC5V / 1.5A. Charging current: 1A. Output voltage: DC5V. Rated output current: 1A / 750mA X2 . USB port charge: 2A 6V . Covering Standards: EMC Directive 2014/30.EU. RoHS Restriction of Hazardous Substances Directive 2011/65/EU. Waste Electrical and Electronic Equipment Directive 2012/19/EU. Waste Packaging Regulations. CE Certified. 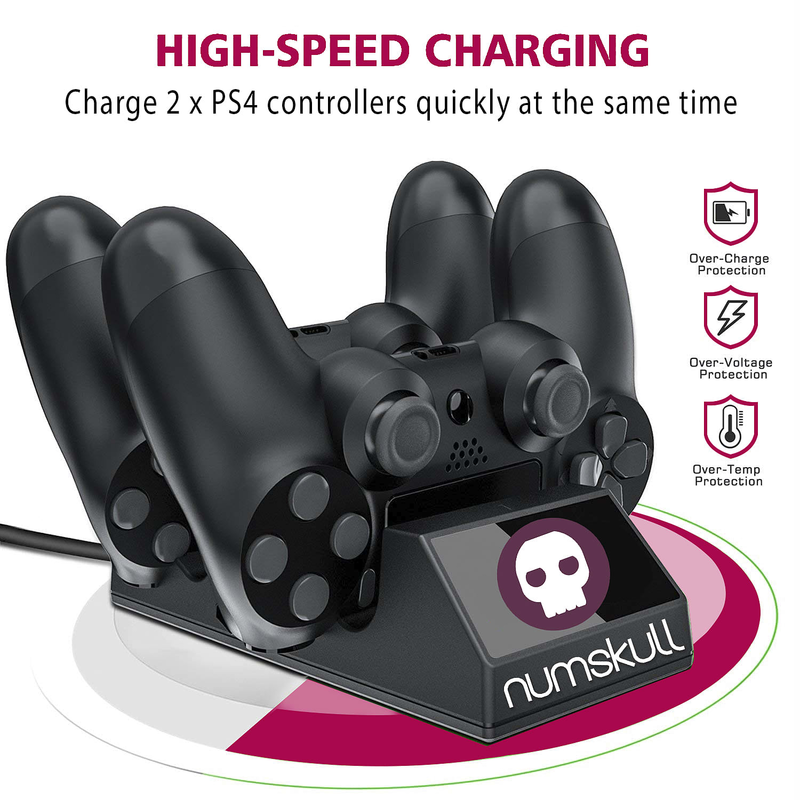 Package Includes: 1* Numskull Dual Charging Dock. 2* Micro USB connectors. 1* USB Charging Cable (80cm length)(DC 5V/1A).